For single or triple glazed, or tinted. Or for any size not found on this page, pls. 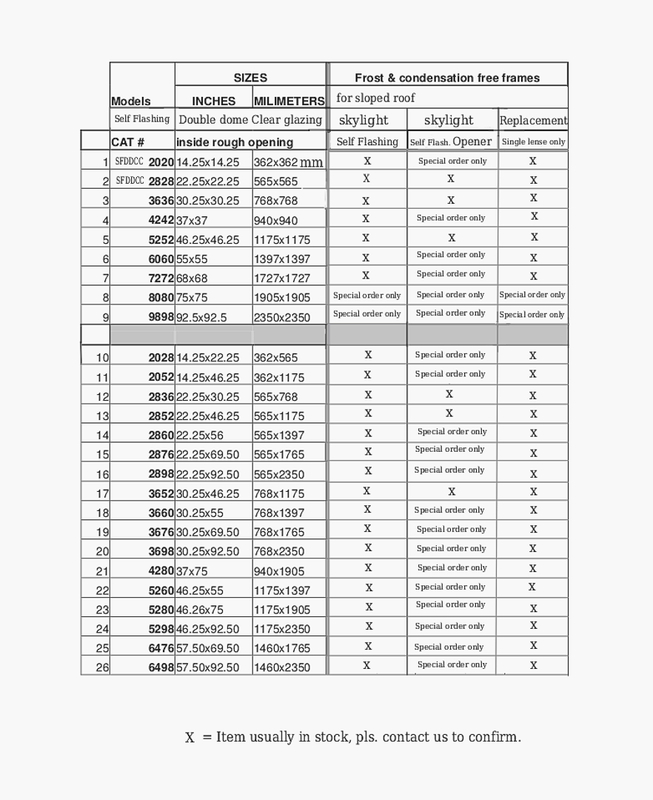 consult our Custom Sizes and Designed Acrylic Dome Skylights page. 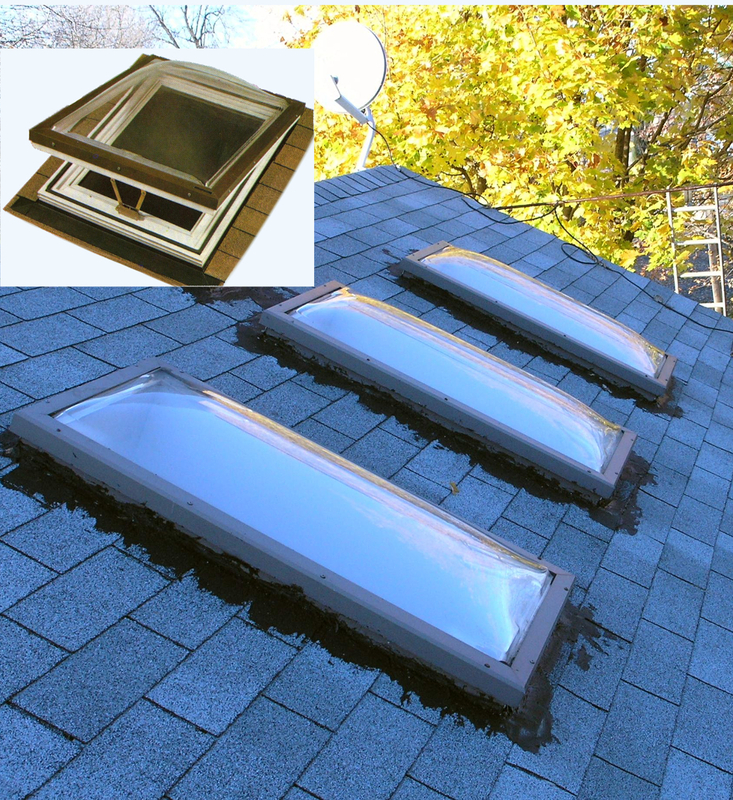 Self flashing opener acrylic dome skylights are available in standard sizes or custom via special order. They are double dome only and have a mosquito net and manual or mechanical handle. 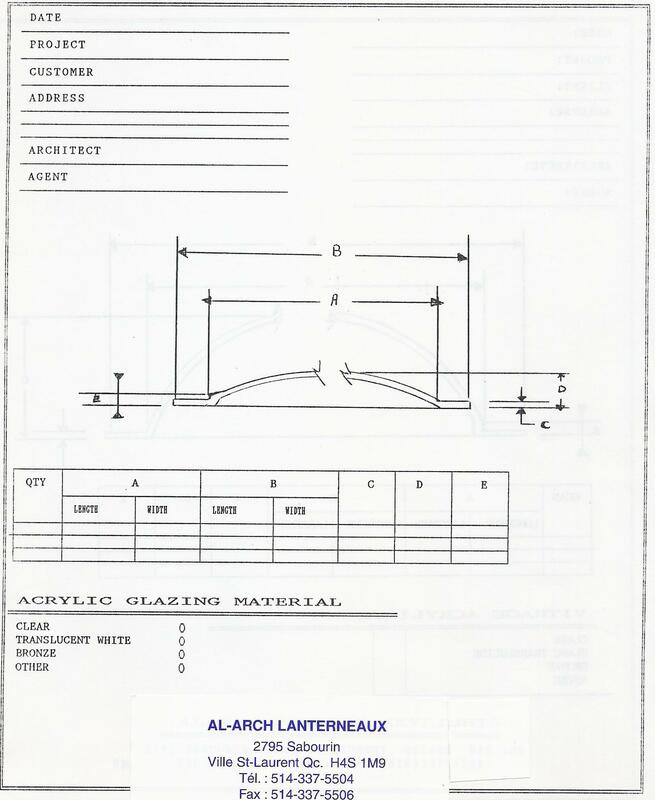 We have single lenses available for replacement on an existing acrylic dome skylight. The (SFDDCC) skylight consists of an outer dome with a single piece of cast acrylic that can withstand a minimum live load of 40 lbs per square foot (195kg per meter2), and an inner acrylic dome. A frost-free (and condensation)and scratch-free extruded white vinyl frame, integrated 3 inch (76.2 mm) PVC flashing (mounting flange) and aluminum outer retaining frame (painted brown) complete the unit. 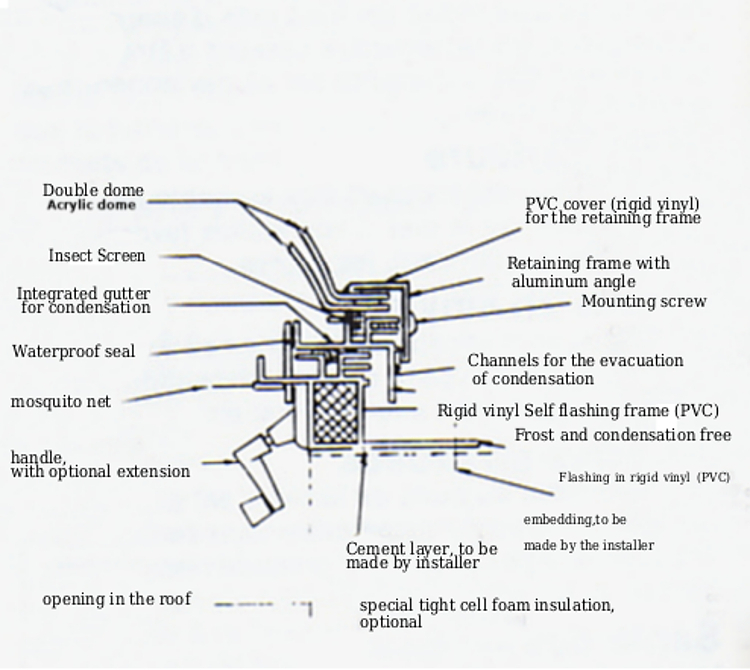 To be installed on a sloped roof made of asphalt shingles by means of wood screws through holes in the flashing. The recommended size when choosing your skylight is aproximately 5% of the floor space in the room that will have the skylight overhead. 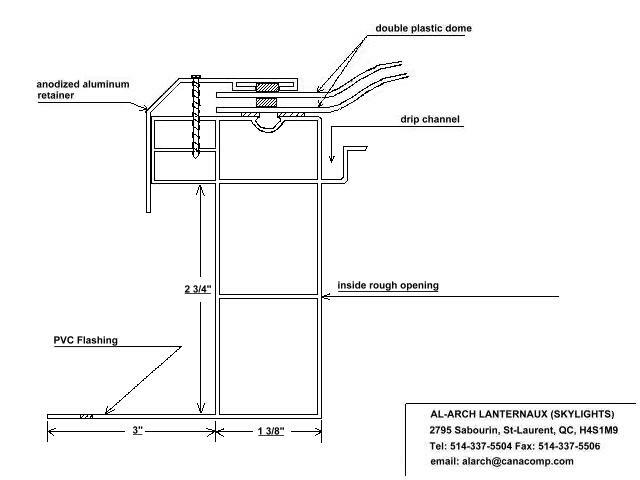 *Standard sized skylights over 52 " (5') have a 6063-T5 extruded aluminum alloy, mill finished frame. -All acrylic dome skylights for sloped roof are designed to adjust within the rafters of the roofs of average homes. 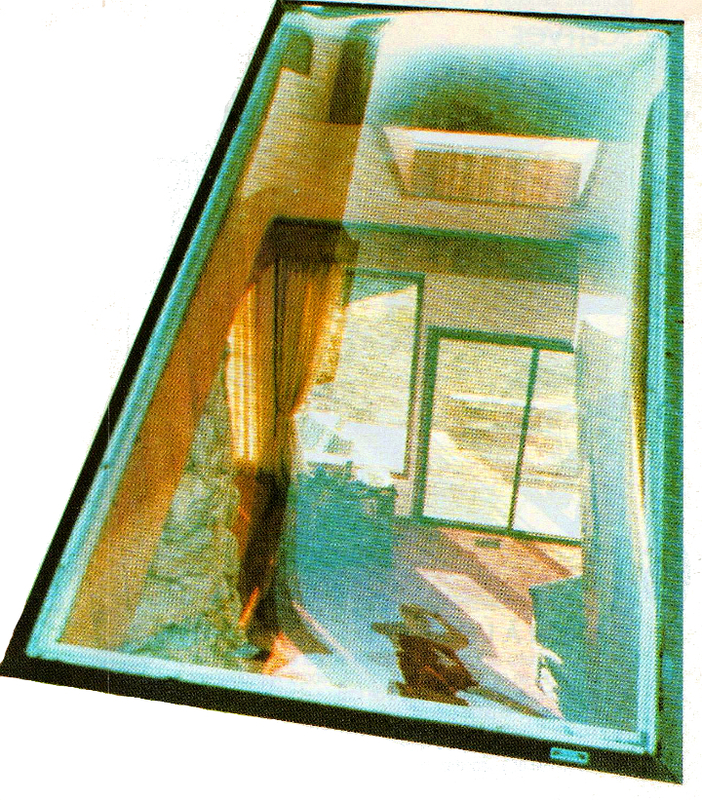 -All skylights are built to withstand all kinds of atmospheric conditions. Each skylight for flat rooftop has a 5 year warranty starting from their date of installation- to be free from material and manufacturing defect.